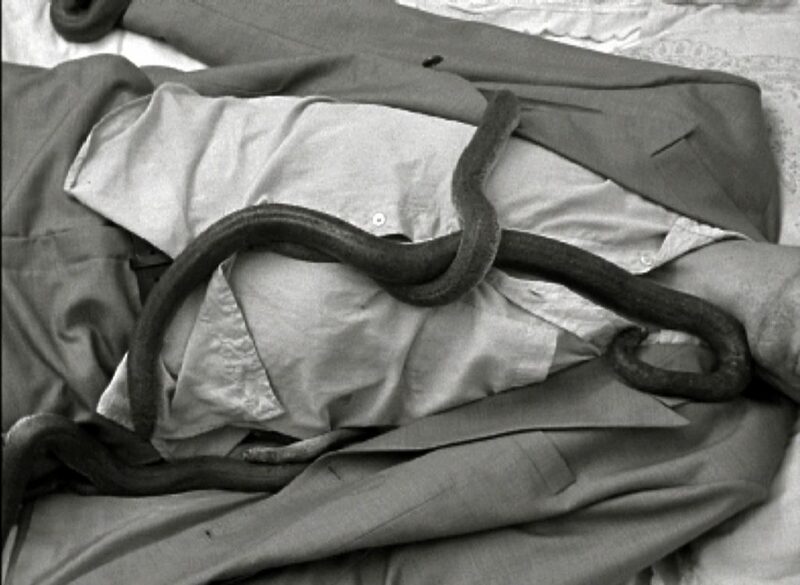 A man in a cheap suit lies on the bed in a quiet apartment. 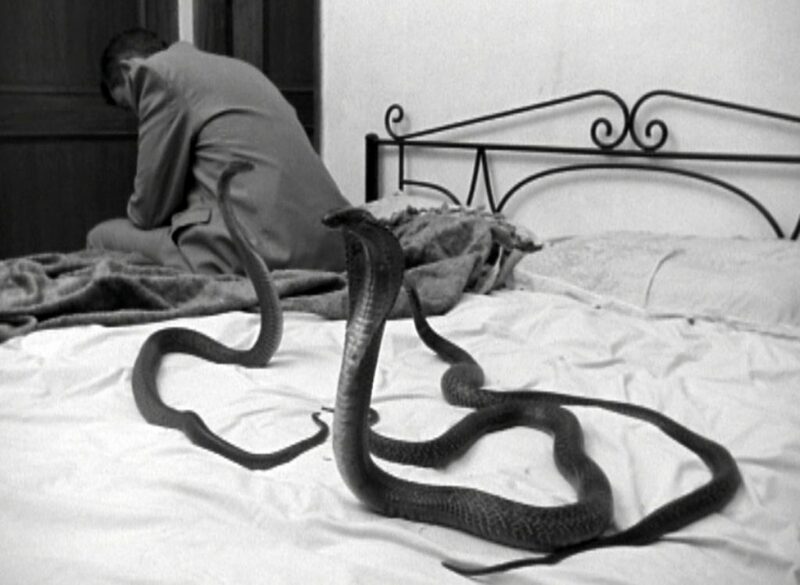 Snakes entwine him, crawling slowly in and out of his clothes. The sleeping presence is indifferent to what is happening, yet is minutely observed by the camera’s unfaltering eye. This is a deeply personal film. The actor on the bed and the man directing the ‘camera’s unfaltering eye’ are one and the same. Jolley’s commentary on the way that we live with death from the moment we are born is a nasty little jolt to the psyche. Humorous and yet hardly funny, is it simply a commentary on mortality or does it also refer to the Eastern vision of the snake as a symbol of healing and rebirth?